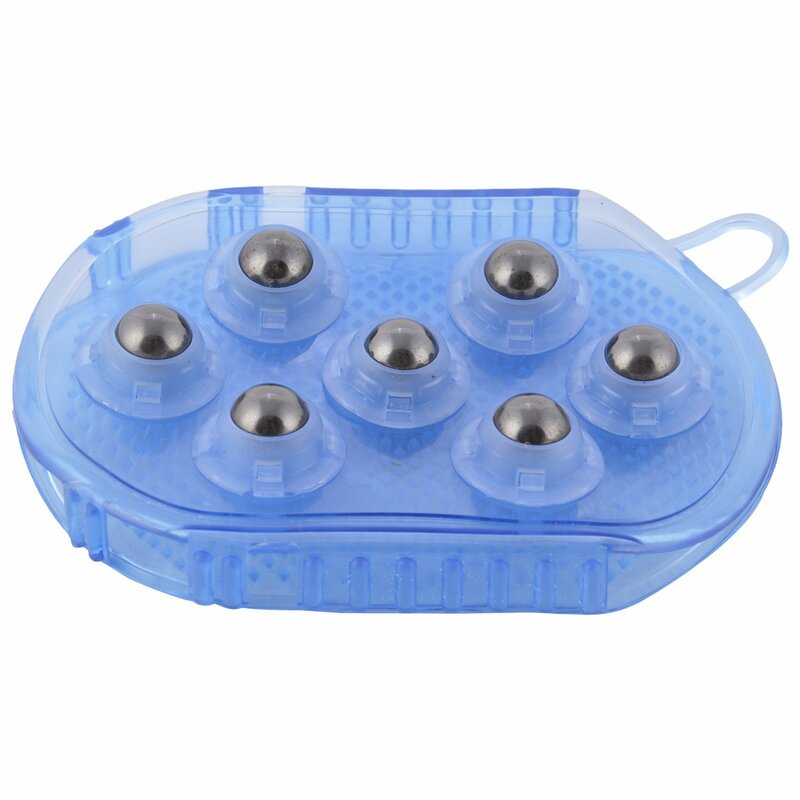 Massage Bruch Ball 7 ball Magnetic Body care with 7-roller rolling Massage roller can be rotated in 360 degrees Massage the related acupuncture point, it can play the effective alleviation Role of low spirit or fatigue, you thigh, arm, Knee point can be relaxed Extend the muscle blood circulation, promote blood circulation Particles on the other side can also function as massager Glove design with strap, fit for most hands Made of soft PVC and stainless steel, boasting of durability Rolling Ball Diameter: Approx. 15mm Total Dimension: Approx. 15.5 x 7.5cm Material: PVC, stainless steel with magnetic ball roll.